Jacob and Katherina (Funk) Braun, ca. 1912. Presevings photo. Jacob Braun: farmer; born on 5 April 1826 in Kronsthal, Chortitza Mennonite settlement, Russia, to Peter and Anna (Dyck) Braun. He was their only child. Jacob was baptized on 26 May 1846 in Russia and on 15 October 1847, he married Katherina Funk in Kronsthal. She was born on 15 September 1827 in Kronsthal, Chortitza Mennonite settlement, Russia, to Peter and Helena (Schroeder) Funk. She was the eldest of nine children. Katherina was baptized on 11 May 1847. In 1853 the Brauns moved to Friedrichsthal in the Bergthal Colony. They immigrated to Canada in 1875 where they settled in the village of Gnadenfeld in the Manitoba East Reserve and filed for a homestead in 1876 at SW 18-5-5. By the early 1880s, Jacob was farming more land than almost anyone else in Gnadenfeld. He also owned half the shares in the first threshing machine in the village. Jacob and Katherina Braun had eight children, three of whom died young. In many ways, Jacob Braun was the patriarch of the village of Gnadenfeld, being the oldest and wealthiest with four of his married children each taking a farmstead in the village within twelve years of arriving. Jacob Braun died on 7 May 1919 in Grunthal, Manitoba. Katherina (Funk) Braun died there on 2 September 1920. Braun, Ernest. "Gnadenfeld—The Funk Clan." Preservings No. 15 (December 1999): 90-91. 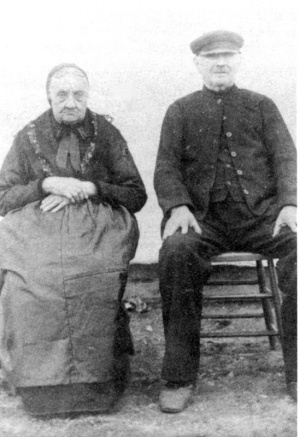 GRANDMA (The Genealogical Registry and Database of Mennonite Ancestry) Database, 5.03 ed. Fresno, CA: California Mennonite Historical Society, 2007: #185170. Huebert, Susan. "Braun, Jacob (1826-1919)." Global Anabaptist Mennonite Encyclopedia Online. December 2007. Web. 19 Apr 2019. http://gameo.org/index.php?title=Braun,_Jacob_(1826-1919)&oldid=94114. Huebert, Susan. (December 2007). Braun, Jacob (1826-1919). Global Anabaptist Mennonite Encyclopedia Online. Retrieved 19 April 2019, from http://gameo.org/index.php?title=Braun,_Jacob_(1826-1919)&oldid=94114.